Those who have been on the Internet from its earlier days of consumer life may remember Lycos as a search engine, on par with Hotbot or Altavista. But with the tectonic changes that have taken place on the Internet over the last 20 years or so, Lycos' prominence in search has fallen off. But Lycos isn't out of the action; it's expanded into whole new areas of operation, and Lycos Life is set to be the newest such entry, backed up by wearable tech options. 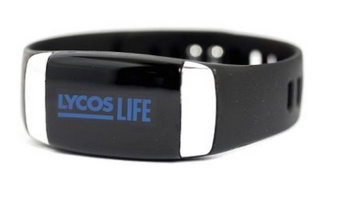 Lycos Life will start life as a wristband and a ring, providing users with a new kind of “mission control” for a user's life. Lycos Life devices are set to learn the various patterns of a user's everyday operations, and then transfer those patterns to a smartphone via Bluetooth's Tap to Transfer (T2T) protocol. The devices pull off this somewhat Orwellian feat by being able to measure activity and heart rate, the overall quality of sleep—something a lot of fitness trackers won't actually measure but probably should—and provide information on incoming calls and notifications, all in a hands-free fashion. What's more, using the T2T protocol on the devices will allow users to access websites and apps without passwords—the devices are set to remember passwords for the user—and carry out other transfers of information, like basic business card information, with just a tap. Eventually, Lycos Life devices will be able to identify the wearer just from the unique idiosyncrasies present in the way that user moves. Lycos actually makes a reasonable case for its involvement in such a practice, as explained by CEO and chairman Suresh Reddy. Reddy notes that Lycos started life as a way to make searching the Internet for information a more productive practice. Now, with the Internet starting to learn more about its users and respond accordingly, Lycos is taking its philosophy of making for a more productive search to the entirety of a user's life. It would be easy to dismiss Lycos' latest effort as just another fitness tracker that showed up way too late to the party, but Lycos' offering actually has a lot more going for it than just a fitness tracker. 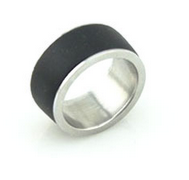 First, it's got an edge on many fitness trackers thanks to the sleep tracking portion of things. Add on the password capability, and suddenly this becomes a rather powerful little tool. When it's considered that Lycos Life is planning to carry on from there, adding in small portable sensors for things like air and water quality—a lot like the NEXTToMe systems were planning to do—the prospect only gets more noteworthy. Lycos may well have a wearable system here that beats the best already around, and improves on what's already in the field to make it the most attractive prospect. The devices are set to be available June 8, and the ring will run $59.99 while the wristband runs $124.99. It's actually going to be a system worth looking into, if for no other reason than the sheer array of functions it's set to provide from just one platform.